When it comes to makeup, I’ve been feeling like less is more recently. I’m not sure if it’s the hotter temperatures, or I’m just getting a little lazier in the mornings, but being able to slap on some skin tint (this one) touch up with a little concealer and finish everything off with a swipe of bronzer just feels right. So, in an attempt to keep things as simple as possible, I’ve been turning up my skincare, so I can use as little makeup each morning as humanly possible. Every few nights I throw on a facemask to address any issues my skin is dealing with. 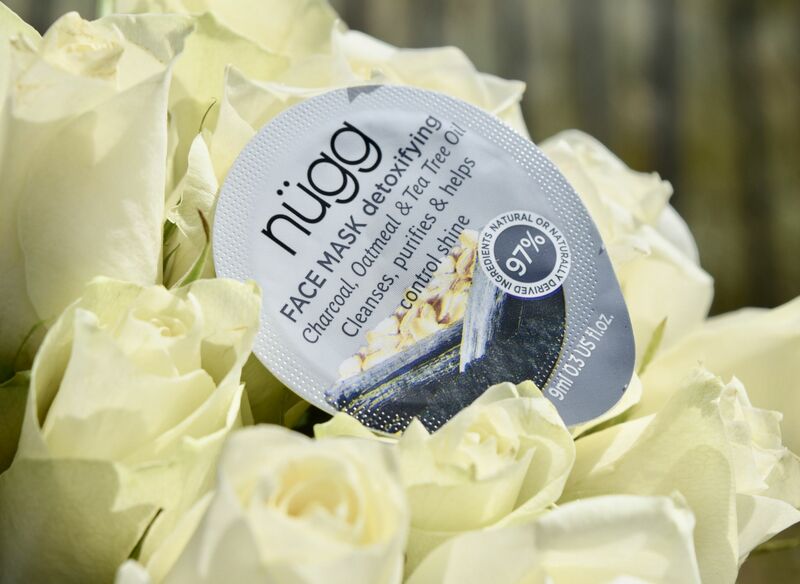 On days when I’ve felt a bit congested, I’ve been using Nugg’s Detoxifying Face Mask. As with all of this brand’s masks, it comes in a simple single use pot. I love this, as it gives a generous dose of product, which stays fresh. With Nugg, you’re never going to go to use a mask, just to find a dried out tube waiting for you. The Detoxifying Mask is perfect for oily skin types, or on days when you just want an uber thorough cleanse. Smoothed onto clean, damp skin the mask has an almost jelly-like consistency, and is completely black thanks to the charcoal in the formula. There is also kaolin clay in there to soak up any extra oil, so not only does it clean out your skin, it leaves it looking perfectly matte, even after a day or so. Nugg Detoxifying Mask is £3.99 and is available here.